The happy couple will wed in Windsor Castle, a royal residence west of London dating back more than 900 years. The ceremony will take place at midday (1100 GMT) in St George's Chapel, the final resting place of 11 monarchs including Henry VIII and Charles I, which is usually open to the public. The Dean of Windsor, David Conner, will conduct the wedding service, while the Archbishop of Canterbury Justin Welby, the Church of England's spiritual leader, will officiate over the marriage vows. Britain's Queen Elizabeth II had to consent to the wedding, as under British law the monarch must approve the marriage of the six people next in line to the throne in order for them to retain their place. Harry is currently fifth in line after his father Prince Charles, elder brother Prince William and his sibling's two children, but will be bumped down to sixth place after William's third child is born as expected later this month. Markle, meanwhile, has been baptised by the Archbishop of Canterbury into the Church of England. The decision was taken out of respect for Queen Elizabeth's role as the church's supreme governor. Some 600 people have been invited to attend the wedding service and the lunchtime reception at St George's Hall within Windsor Castle. 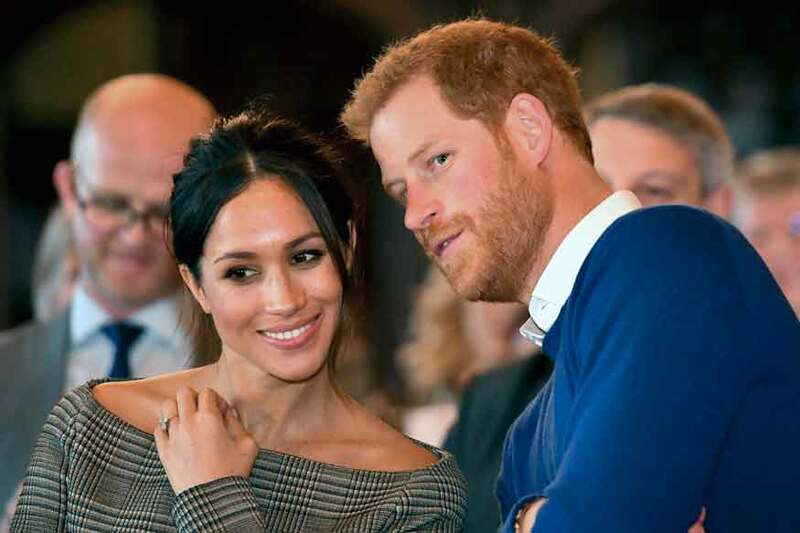 It is still not known who will be Harry's best man and Markle's maid of honour. Around 200 guests will go on to an evening reception at Frogmore House, a royal residence south of the castle. A further 2,640 people will be welcomed into the grounds of Windsor Castle, including charity representatives and military veterans, to watch the arrival of the bride and groom and their carriage procession following the ceremony. US President Donald Trump and British Prime Minister Theresa May have not been invited. Kensington Palace -- the official residence of Harry and Markle -- said "an official list of political leaders" has been deemed unnecessary for the nuptials. Police are preparing for 100,000 people to visit Windsor for the occasion, with analysts expecting the royal wedding to boost tourism to Britain. Visitors to the town can expect to be searched by police, who will install road barriers as part of a massive security operation. Food stalls, live screens and entertainment will be set up in Windsor, extra rail services will be laid on and 6,000 more car parking spaces opened up. Bunting and ceremonial banners will be hung around the town. Across the country, the government has allowed pubs to open until 1:00am -- two hours later than usual -- over the wedding weekend. English football's FA Cup final also takes place on the wedding day. Consultancy firm Brand Finance said the wedding overall could bring more than £1 billion (1.15 billion euros) to the UK economy this year, including £300 million from tourism. While the wedding dress remains a closely-guarded secret, the palace has announced the couple's chosen cake and flowers. A lemon elderflower cake created by pastry chef Claire Ptak, an American based in London, which will be covered with buttercream and decorated with fresh flowers. Floral designer Philippa Craddock will dress St George's Chapel and St George's Hall, incorporating plants from the wildflower meadows of London and foliage from Windsor Great Park. White garden roses, peonies and foxgloves will all feature. The official wedding photographer is Alexi Lubomirski, who photographed the pair for their engagement. Rather than gifts, the couple have asked for donations to seven charities.